The current crisis in Venezuela has the potential to be very tragic and violent. Venezuela can be characterized as a country in a high-risk pre-conflict stage. This is the stage when peace operations can be most effective and preventative, especially regarding loss of life and economic viability. This is the time to act with calmness, prudence and extreme caution. The alternative is tragic. Canada is at another decision point with regard to our belief in our expressed moral leadership within the global community. The current Canadian government has expressed a strong assertion for returning to peace and stability operations in the world, and for a strong feminist foreign policy. This clearly means a position of peace, non-violence, impartiality and diplomacy. We need to ask ourselves some serious questions. Do we subscribe to just joining the chorus of criticism, the language of violence, and taking sides? Are we considering the risks of such a position in engaging unhelpful confirmation biases in actors, making things worse? Do we seek to take real advantage of our reputation as a somewhat softer power? Are we seriously considering what we can do by being a voice for peace, a voice that acts as a counterpoint to the hard power diplomacy going on? Are we considering the lessons learned from the Libya campaign and regime change that took place? In Libya, killing, destruction of infrastructure, the decimation of the rule of law and good governance, and economic ruin, resulted from whatever good intentions Canada had. Are we considering the consequences of the unintended effects of drastic sanctions on Venezuela, the politicization of aid, and the weaponization of the poor, poverty and the suffering of innocent people? Are we seriously considering the consequences of military intervention and risks of civil war? This will not help the country or its people. Can we seriously consider the promise of a comprehensive peace approach? What can we do or leverage to get such attention? What can Canada do to return to peace and stabilization contributions, and respect its feminist policy agenda? There is no doubt that “civilized people talk.” The principle of relentless diplomacy needs to be given a chance. The construct of negative peace (preventing or stopping violence) and positive peace (aid and helping victims, building economic wellbeing and good governance) needs balance and priority. Reconciliation and justice will be significant issues. We need approaches for building peace within, before peace between. This, Canada can do. We suggest that the aim of Canada’s response to this crisis be very clearly the promotion of peace, non-violence, human rights, democracy, and economic viability. There should be no advocating any path to killing, and no sanctions that affect the poor. We can adopt a tone that changes from one of violence to peace, and includes approaches such as of non-violent communication (NVC), a clear language of facts (not blame or accusations), our feelings of concern, our needs, and our intended response. We can clearly articulate an end state vision: of peace, security, non-violence, good governance, economic viability, and human rights. We can clearly articulate Canada’s intended contribution and principles. Principles of impartiality, aid aid and more aid, building peace infrastructures, and contributing to UN multi-dimensional peace operations. The situation in Venezuela is in serious constitutional, political, security, economic, and social crisis. The Lima group, the US, and Canada have responded by taking sides with military options and tragic sanctions remaining on the table. We note that the current Canadian government has expressed a strong predisposition for returning to peace and stability operations in the world and asserted a feminist foreign policy. This clearly means a position of peace, non-violence, impartiality and diplomacy. We feel compelled to express our deep concern regarding the position of Canada and the international community, that it may lead to violence and continued suffering of the Venezuelan people. We need to resolve this in a manner that is peaceful, provides human security, is non-violent, fosters good governance and economic viability, and respects human rights. 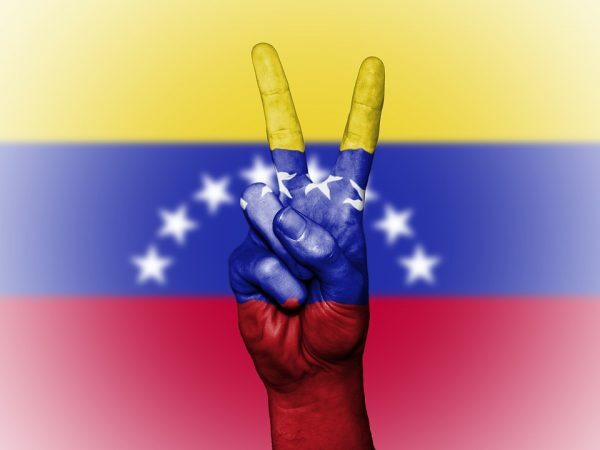 We suggest there is an opportunity for Canada to influence the international response and Venezuelan politics towards peace, non-violence, human rights, democracy, and economic support, through clear and concerted multi-dimensional peace operations. We suggest that Canada has an opportunity to best contribute from a position of impartiality, the provision of aid, peace operations, relentless diplomacy, and the building of peace infrastructures and good governance in Venezuela. Civilized people talk, and as a respected soft power, we can be a serious voice for a mediated dialogue for peace between all international and internal parties. We offer to participate in any consultations or dialogue with the Canadian government towards these ends. Imagine how many thousands of lives could have been saved if Canada had lead an international intervention in the Rohingya refugee crisis before the killing began. Imagine if we had a body in Canada whose specific purpose was to help prevent violent conflict. Imagine a Department of Peace. The Canadian Peace Initiative recently released the five minute video The Story of the Rohingya: Imagine Another Way, which highlights what Canada could be doing to support international efforts to prevent genocides and mass atrocities. The issues surrounding genocide are complex so this video only focuses on the small but incredibly meaningful role Canada could be playing if it had a Department of Peace to effectively coordinate peace efforts pre-, during, and post-conflict. The Canadian Peace Initiative is a non-partisan, non-profit organization with an aim to increase the capacity for leadership through peaceful means within the Canadian federal government. The key focus of our work is the proposal for a Department of Peace, a framework that complements our other federal departments, significantly increasing our peacebuilding capacities. On February 1, 2018, Private Member’s Motion 163 entitled Women, Peace and Security Ambassador was tabled by The Honourable Borys Wrzesnewskyj, MP. Mr. Wrzesnewskyj has been a long-standing supporter of the Canadian Peace Initiative, and we appreciate his devoted efforts. start building a domestic culture of peace that includes supporting peace education. Although not a Department of Peace as the CPI has envisioned, the CPI supports Motion 163 as a step in that direction, with alignment on many of the motion’s principles. The CPI recommends that the scope of this Ambassador be expanded to include all priority peace issues that Canada faces, such as indigenous issues, disarmament, and peace operations. The CPI suggests that it would be most effective to locate this Ambassador’s position with a strong link to the Prime Minister’s Office and that she or he be provided with resources to enable a real advancement on her or his mandate. 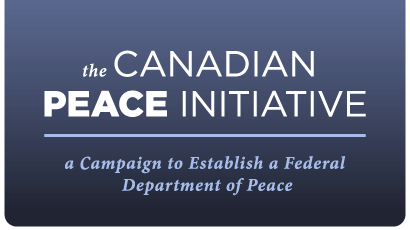 As the leading civil society organization in Canada advocating for a Department of Peace, the CPI looks forward to engaging with all relevant stakeholders in the months ahead, as the details related to this new Ambassador evolve and become more concrete.